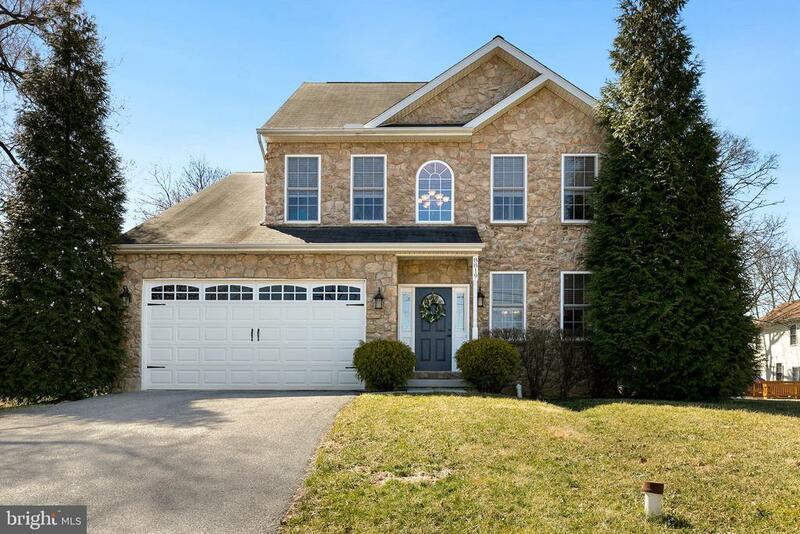 Spacious stone front colonial w/open floor plan. The main level features hardwood floors throughout, an expansive living room with stone fireplace, chef~s kitchen with cherry cabinets, granite counters & island, and SS appliances. Enormous master w/fireplace, vaulted ceilings, an en suite bath with separate shower and jetted soaking tub. Large lot, entertainers deck. Welcome home!